It’s been awhile since I’ve posted! I’ve been going non-stop since Bolshoi last summer. 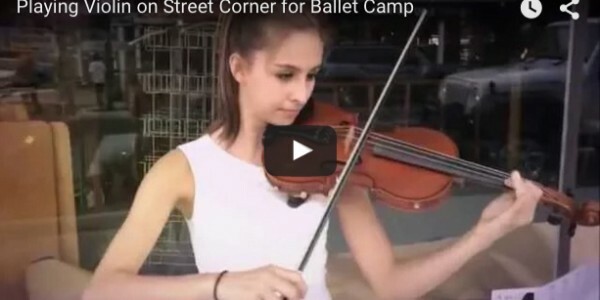 As soon as I got home I started back playing violin on the street corner in my hometown to start earning money for next year’s summer intensive. I’m still not sure where I want to go, but it’s pretty expensive, so I want to be prepared. I’ve also been busy with ballet. I go five days a week. Plus we just finished our Christmas performances of various scenes from The Nutcracker so that meant extra rehearsals. It’s nice to have a little break here at Christmas, but I’m excited to get back to class already! Get my updates & More! Never miss a post plus other stuff I only share with my email subscribers.